Hello everyone. Will here and today, I am going to be doing something I didn’t think I’d get the opportunity to do because of the costs. However, when a friend of mine asked me to tell him what I thought of his new Intel i3-8100 Coffee Lake processor, I was elated. So, I told him that if he’d bring it to me, I’d look at it and give him my thoughts. So, he brought it to me and here is what I found out. 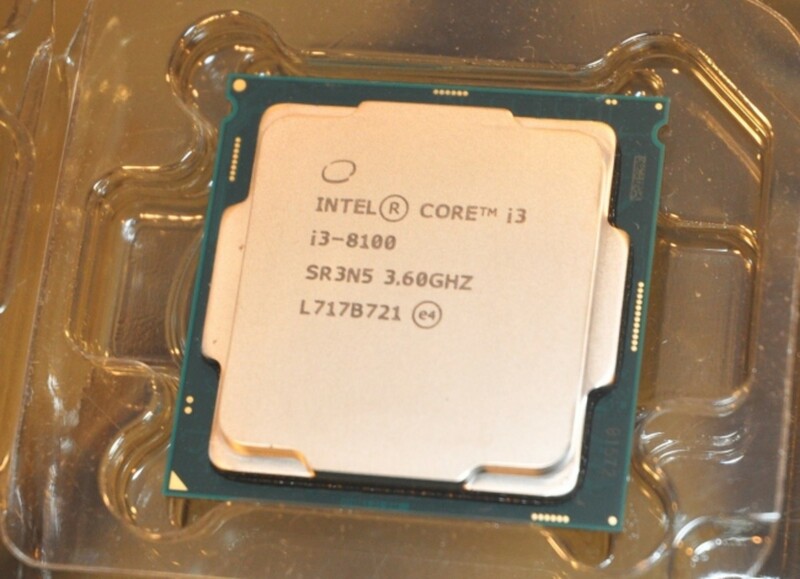 The Intel Core i3-8100 CPU was released on October 5, 2017 with an MSRP of $117. The processor is a locked 4 core, 4 thread processor, meaning we cannot overclock it from its 3.6GHz base clock frequency and comes with an L2 cache of 1MB and an L3 cache of 6MB and sports 16 PCI express 3.0 lanes. The CPU had Intel’s UHD 630 integrated graphics and supports up to 2400MHz of DDR4 RAM and draws just 65w of TDP. This processor should compete well with the Ryzen line (more on that later) and is comparable to Intel’s i5-7400 and 7500 CPUs. These processors are tough to get your hands on currently but they are attainable at Newegg, though it is fulfilled by OutletPC.com and is selling for $160.82; $43 above MSRP. 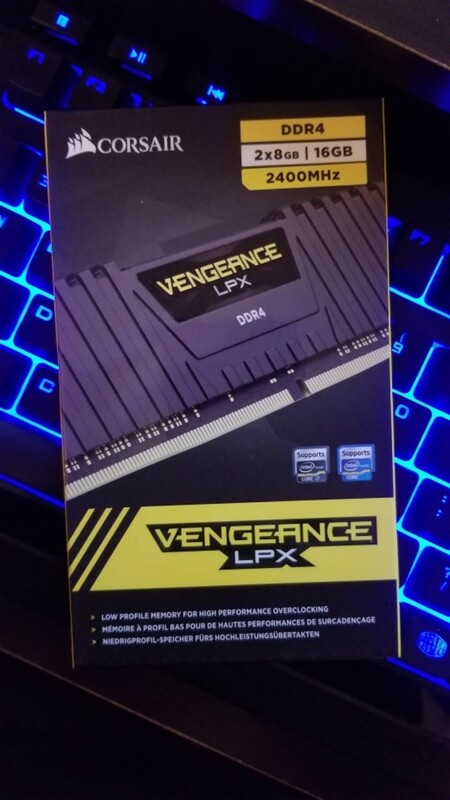 The worst part of this processor currently is that if you want to get it, you need a Z370 chipset in your motherboard, an overclocking motherboard in which you have a CPU you cannot overclock. I suppose this is fine if you are desiring to upgrade to an 8700K in the future. 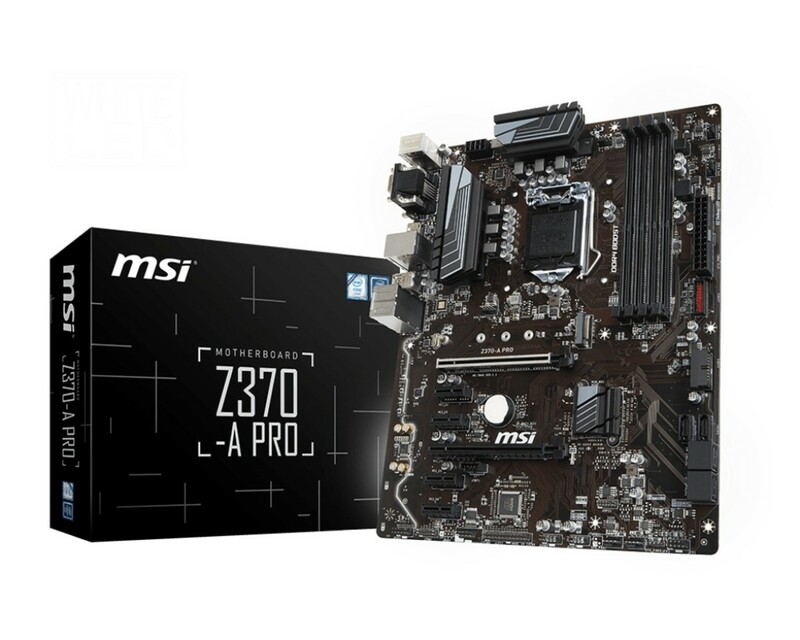 The budget motherboards are coming early in 2018 but until then, if you want to take advantage of Coffee Lake, you will need purchase one of the Z370 motherboards, the cheapest being around $120 or so. So, before I get into the benchmarks, let’s go over the test system and comparison system. The test system is of course, the Intel i3-8100 on an MSI Z370-A Pro motherboard with 16GB of Corsair Vengeance LPX DDR4 RAM in dual channel setup and clocked at 2400MHz. 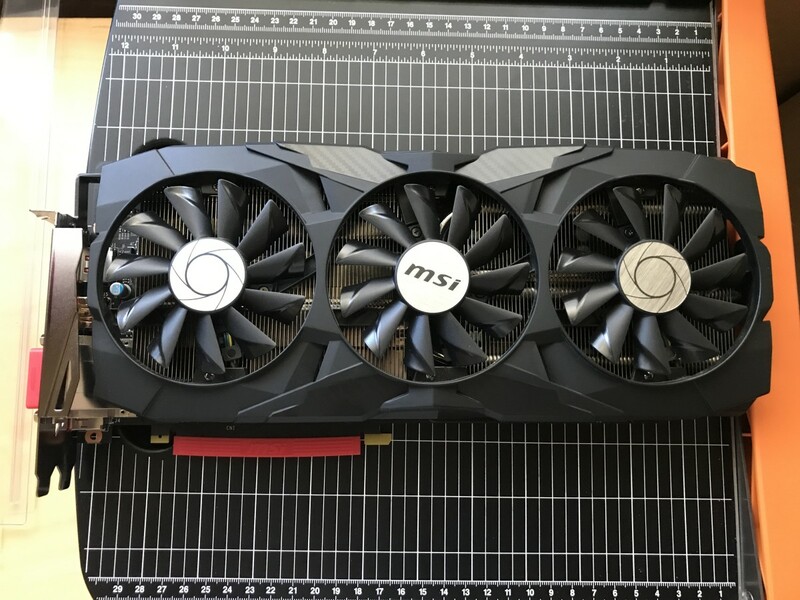 Rounding out this test build is the MSI GTX 1080 Duke 8GB GPU. For the comparison system, I went with the Ryzen 3 1200 on an MSI B350 Bazooka Motherboard, also with the Corsair Vengeance LPX DDR4 RAM in dual channel setup and clocked at 2400MHz along with the MSI GTX 1080 Duke 8GB GPU. Both systems are running at stock speeds on the processors and RAM. So, without further delay, let’s get to the benchmarks. For processing power, I tested these chips in Cinebench R15. 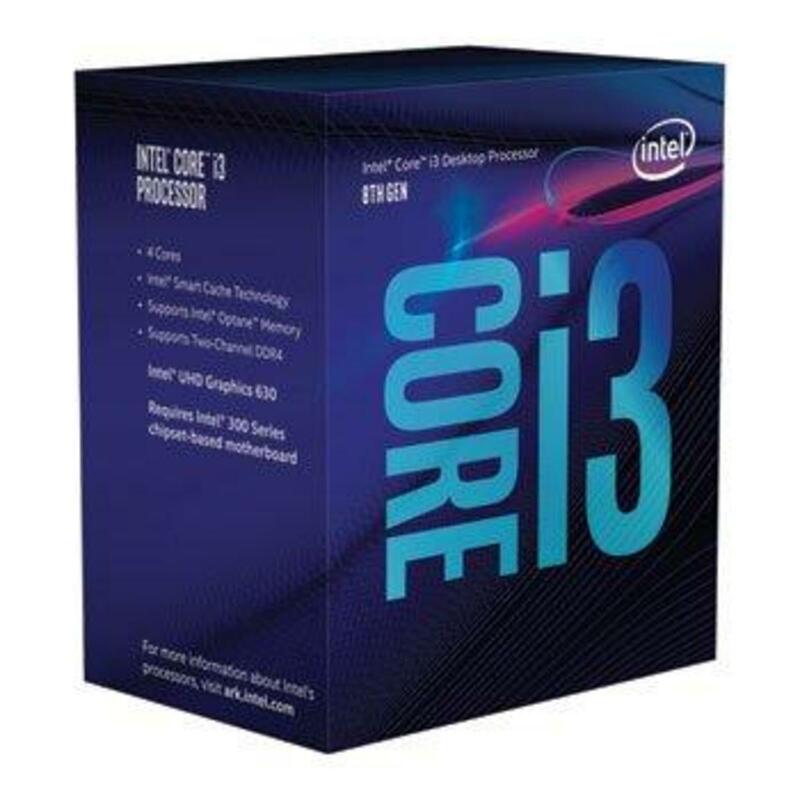 The i3-8100 held the edge over the Ryzen 3 1200 with a single core score of 151 and multicore score of 569 to the Ryzen 3’s single core score of 135 and multicore score of 483. Next, I moved onto PCMark 10. 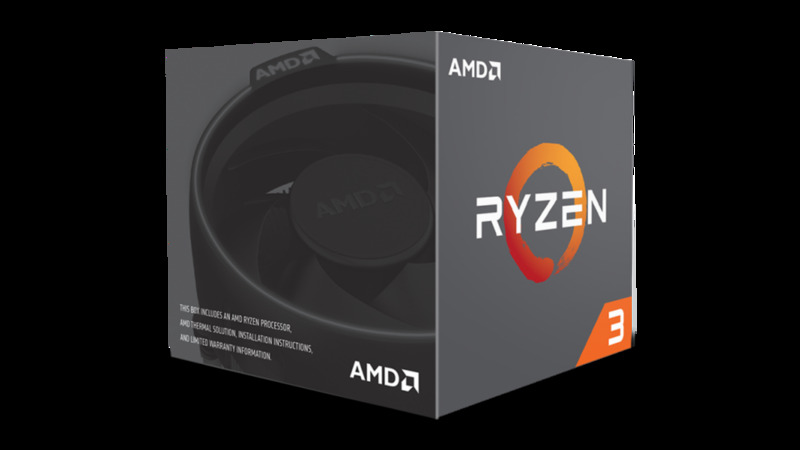 The i3-8100 scored 5306 while the Ryzen 3 1200 posted a score of 4837. Blender was up next where I tested these with the Ryzen chip graphic. The 8100 rendered the graphic in 61 seconds whereas the Ryzen 3 1200 rendered the same image in 82 seconds. Now, for the gaming benchmarks. I only tested 3 games today, with 2 being the more popular ones that everyone tests or are asked to test in Battlefield 1 and GTA V; threw in Battlefield 4 because it is currently the game I play most. So, in these tests, I tested the games at 1080p on the highest settings and AA off. In Battlefield 1, the i3-8100 averaged 122fps with a 1% low of 114 while the Ryzen 3 1200 averaged 106fps and a 1% low of 97fps. Next, I moved onto Battlefield 4 where the i3-8100 managed an average of 133fps with a 1% low of 113fps while the Ryzen 3 1200 fell behind again with an average of 111fps and a 1% low of 101. Finally, I closed out my testing with GTA V. Again, the i3-8100 outperformed the Ryzen 3 1200 averaging 102fps with a 1% low of 83fps versus the Ryzen 3 1200’s average of 96fps and a 1% low of 79fps. So, there you have it. The Coffee Lake processors will absolutely compete with and outdo the Ryzen line of processors in almost everything it appears. 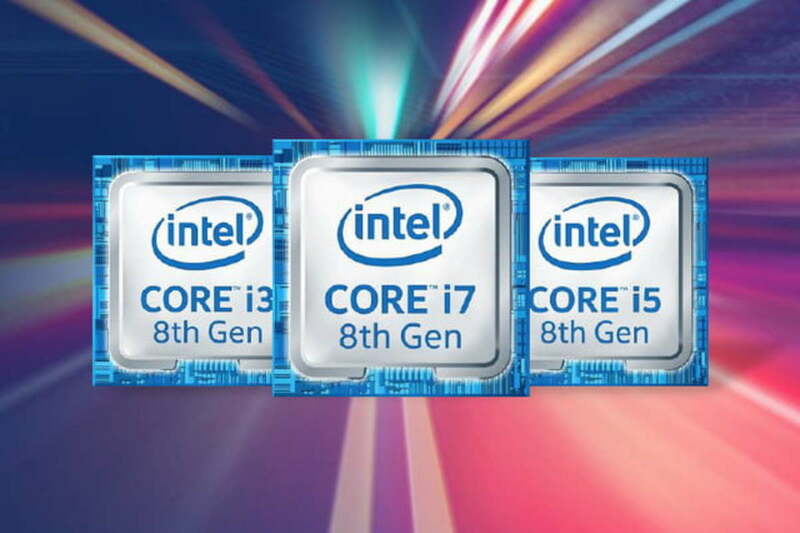 However, these early benchmarks may be premature but it sure looks good for Intel. I must say, with the early stages of this release, these chips are looking really good and I had a really smooth and good experience. 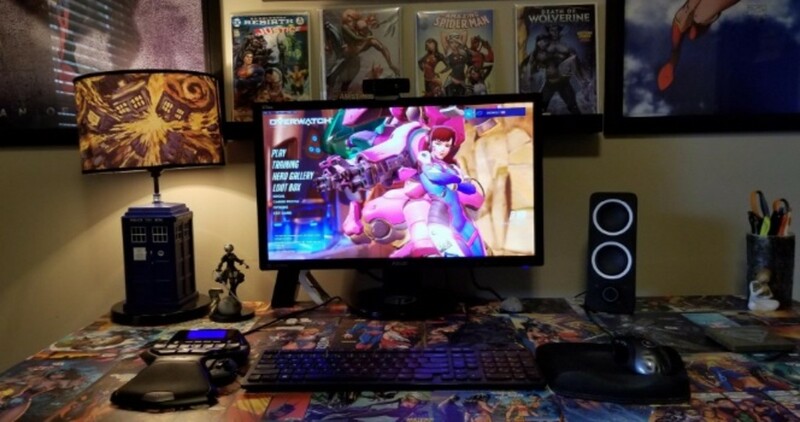 I do not however, think that I will be upgrading my i7-7700K Kaby Lake CPU to the new i7-8700K Coffee Lake processor given some of the other benchmarks already out there not showing a significant increase in performance in gaming, which is my primary use. Personally, if I was going to build with this CPU, I'd hold off until the budget motherboards come out in early 2018. I hope you’ve enjoyed this review and if you did, please follow me here on hubpages as well as on Twitter @TheGR8Cobb, Twitch: TheGR8Cobb, and YouTube. Any and all comments are appreciated and I look forward to having you back next time. Thanks. 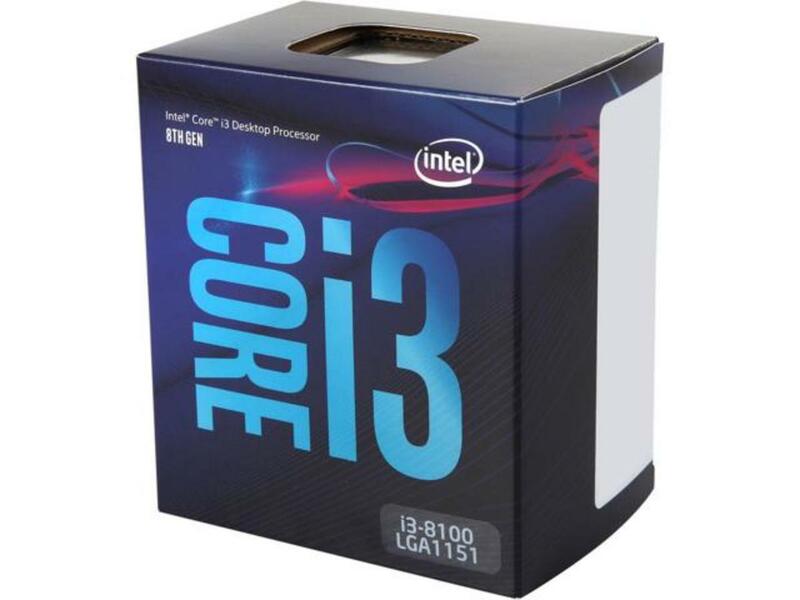 Are you going to be purchasing any Coffee Lake processor such as the i3-8100? 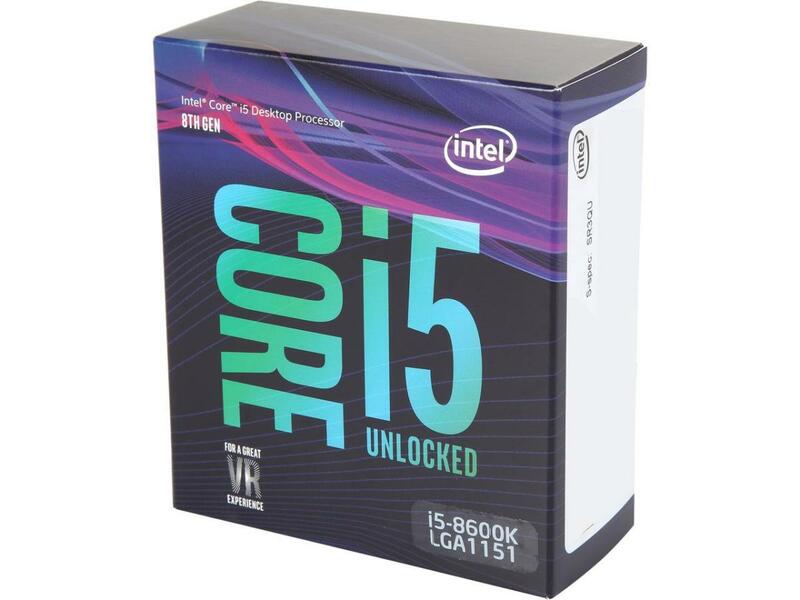 Which processor is best for productivity and works with i3 8100 or i5 7400? I was considering using an i3 8100 as a Plex server. 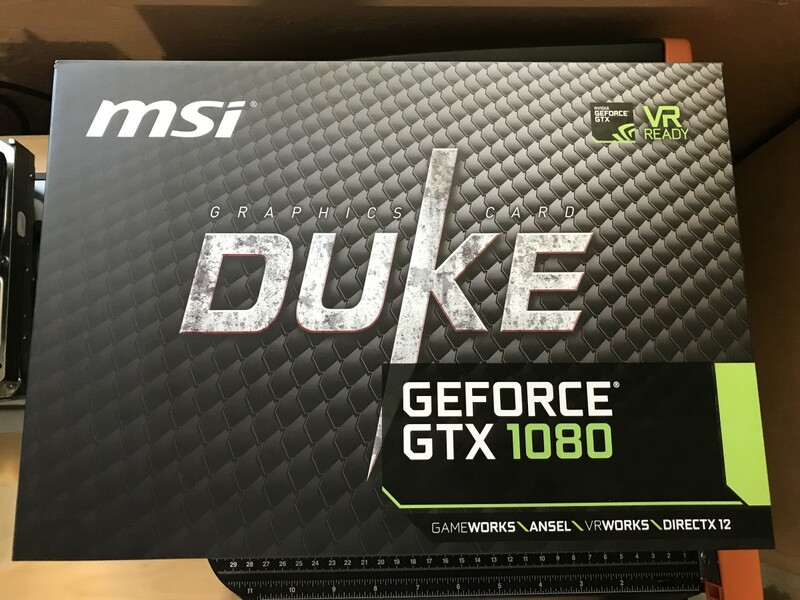 Do you happen to know what the idle power draw of this could without the gfx card? Thank you.